Order in the next 11 hours 33 minutes for delivery on Friday, April 26. For engraving, order in the next 10 hours 34 minutes for delivery on Friday, April 26. 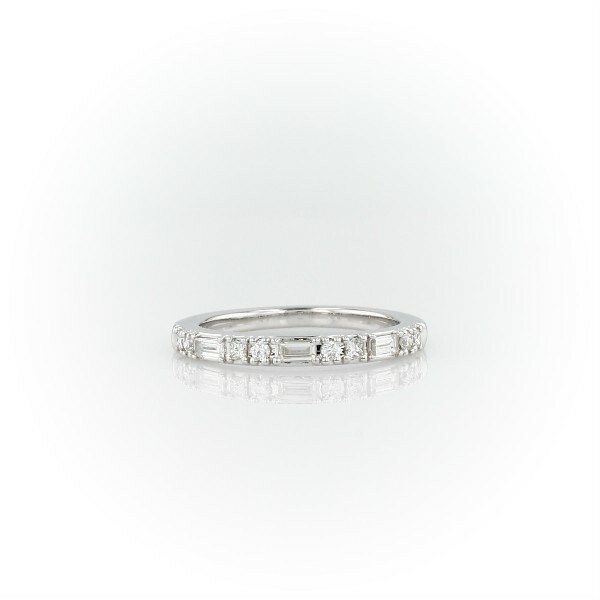 The unique combination of round, princess and baguette-cut diamonds gives this 14k white gold dot dash anniversary ring a look that truly stands out. A perfect match with stock number 73609.